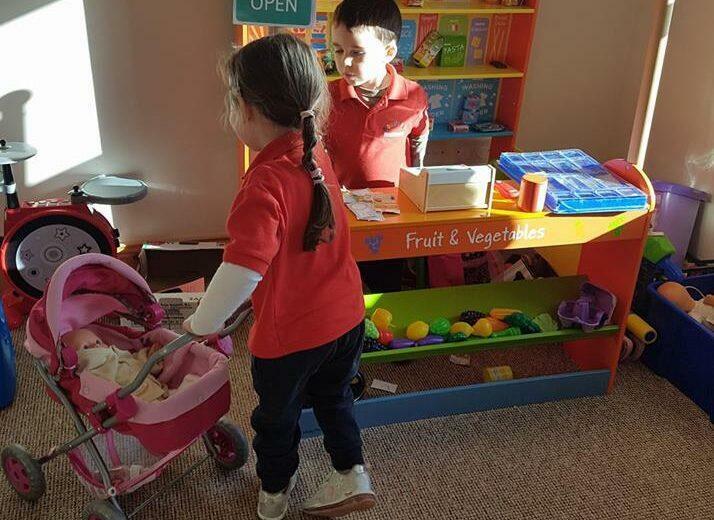 Kiddies den is located just 1km of the main cavan/granard road. The ethos of kiddies Den is to provide all the children attending our montessori with a stimulating environment where they will be safe , secure, happy and above all reach their full potential.each child has equal opportunities in that they can grow and learn through their own experiences and therefore reach their full potential.The children through play and all other daily activities will have the opportunity to develop holistically ,physically, intellectually ,linguistically ,emotionally , & socially. Our curriculum is based on the children’s interests and incorporates Aistear & Siolta together with the Montessori teaching philosophy where children learn at their own pace,choosing their own activities which can be carried out on their own or assisted by an adult. We have a routine which includes free play, music, arts & crafts, physical exercise both indoor and outdoor, circle time, songs, nursery rhymes, stories and lots of fun. Beginning at just six months old our curriculum allows children to flourish. A child learns the most from birth to 6 years. Dr Montessori referred to this as the window of opportunity . I Philomena Lynch am the Owner/Manager Montessori teacher in Kiddiez Den. I have over 22 years experience in a preschool environment. My qualifications include higher diploma in Montessori teaching, diploma in early childcare, fetac level 5, 6, & 7, childcare supervision & management fetac level 5 with special needs, child protection, first aid advanced, after school care & other relevant qualifications. All staff are Garda vetted and experienced with level 6 childcare. Our Creche opening hours are Monday to Friday 8am-6pm . We also offer after school care from our local school in mullahoran. We enrol children from 6 months up to 5 years. We are participating in the ECCE free preschool scheme and are Tusla approved. We offer 4 large play areas for the children to explore and have fun .